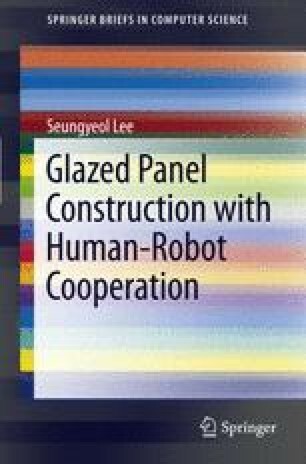 In this chapter, we suggested a model of the human–robot cooperation system according to the contact conditions, using the adjustable impedance parameters. Also, we structured the whole human–robot cooperative control system by separating into the human impedance control and the experimental impedance control with an inner motion control loop. The experimental contents can be categorized into four areas. We investigated the influences to the system of changes in the impedance parameters, force augmentation ratio, and environmental stiffness parameter. The influence of the inner motion control loop against the system is also described.